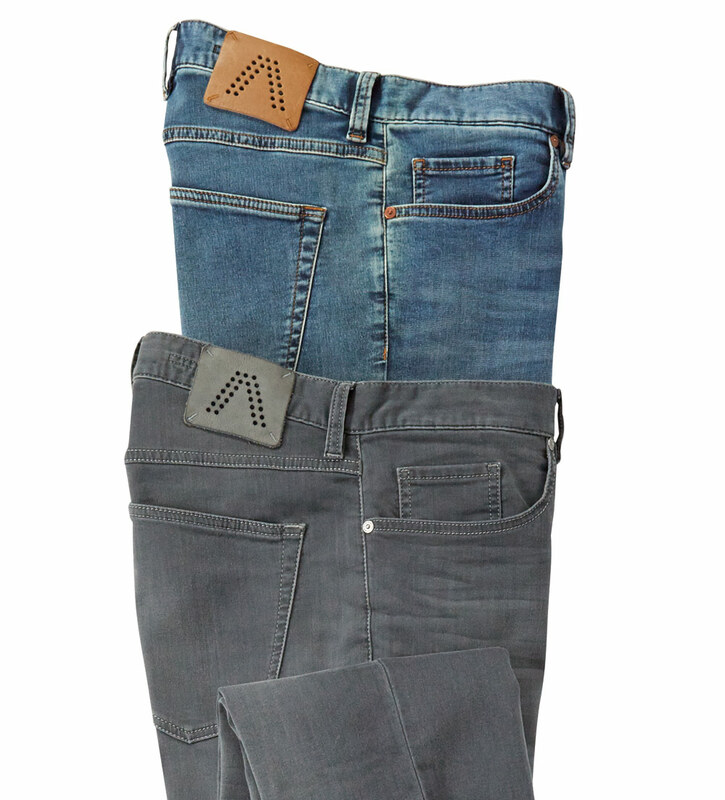 True denim look in innovative, Italian knit for excellent softness and ease of movement. Slim leg. 90% cotton/8% polyester/2% elastane. Machine wash. Made in European Union.